Tahoe Fracture & Orthopedic Medical Clinic is pleased to make open MRI technology available to residents of the Dayton, Nevada, area and beyond. If you’ve sustained a fracture or a soft tissue injury, or you’re living with a condition like arthritis or spinal stenosis, you may have been instructed to undergo an MRI for diagnostic purposes. Our advanced open MRI technology can make the process much more enjoyable. Claustrophobic patients — People with claustrophobia have a fear of being enclosed in small spaces from which they cannot escape. Because of this, many claustrophobic patients struggle with undergoing traditional MRIs. Patients of larger size — In some cases, patients of greater proportions may have difficulty undergoing a traditional MRI because they cannot fit into the machine. Pediatric patients — Children are often intimidated by traditional MRI scans because the machines prevent them from holding onto a parent’s hand during the test. 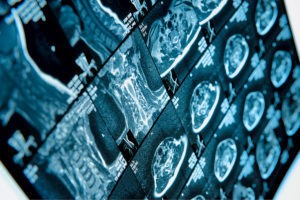 If you’re in the Dayton, NV, area and you’ve been told that you need to undergo an MRI, please call us today so that we can provide you with additional information about the benefits offered by our state-of-the-art open MRI machines. At Tahoe Fracture & Orthopedic Medical Clinic, our patients’ comfort is our top priority, and we look forward to using our open MRI technology to provide you with the most pleasant experience possible.